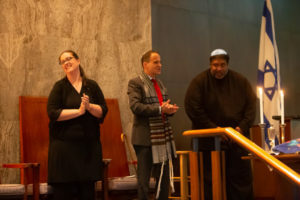 Temple Sinai has wholeheartedly embraced the URJ’s recently adopted resolution that both reaffirms our movement’s commitment to racial justice and commits the Reform movement to undertake transformative internal steps. Importantly, the resolution affirms our identity as a multiracial Reform Jewish community. With the recent rise in gun homicides and gun violence in Baltimore, DC, Los Angeles, and New York City, what is being done or should be done more effectively to reduce or prevent gun violence, especially in our inner cities? An expert panel of public officials, police officers, and GVP activists will examine the relative effectiveness of a range of recent public health as well as law enforcement interventions in Baltimore, DC, NYC and other American cities, e.g., gun “violence interruption” programs, “cease fires,” “safe streets,” “cure violence,” rapid response and post-shooting, anti-reprisal hospital visit initiatives, “hot spot” plain clothes police enforcement efforts, gun “buy back” programs, as well as police-family member partnerships with wives, moms and dads to search for and seize illegal guns, workplace and economic development programs, more community policing, federalizing repeat gun offender cases, etc. The program will also note engagement opportunities for concerned citizens. Please join us as we honor the many social justice leaders in our congregation and celebrate their work at a joyful Shabbat service. Afterwards, savor a delicious catered dinner and enjoy relaxed conversation with leaders of projects you’re interested in. This an opportunity to find out more and reflect on TS’s legacy of tikkun olam. Dinner RSVP link to come. –Project Mensch supports teachers, families and kids at Highland Elem. School in Silver Spring, MD with educational materials, special occasion celebrations and personal items and services. “Mensches” in our congregation provide financial and in-person support. Become a Mensch! Email Project Mensch. -Summer Reading Program for DC Public School elementary students. Volunteers help children select books for summer reading and then order and distribute the books when summer starts. Men and college student volunteers particularly welcome! Email Debby Litt. –Eyeglasses Project works with Wheatley Education Campus elementary students in NE DC and a generous optometrist (a Temple member) to arrange exams and glasses for kids. Email Darren Gersh. -Support for Roosevelt H.S. in Petworth, Ward 4: Sinai volunteers support teachers, families and students with school supplies, classroom support, special celebrations and food. Email Robin Gerber. 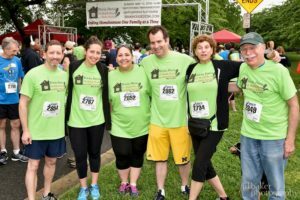 Temple Sinai is a member of the Sanctuary DMV Congregational Network. The temple has a longstanding relationship with Catholic Charities of the Rio Grande Valley in McAllen, TX. Temple members have traveled to McAllen to work with refugee families. We send backpacks, clothes and other items throughout the year. 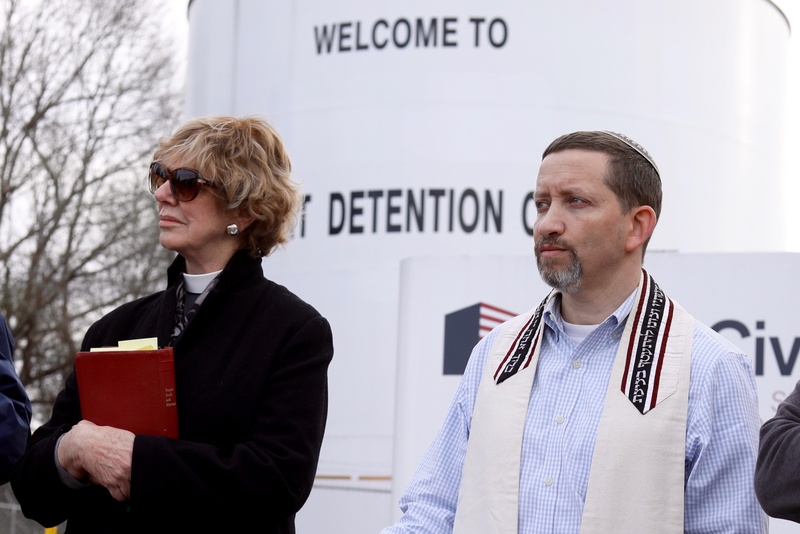 We’ve also visited immigrant detainees at a privately contracted facility in Stewart, GA. In the DC metro area, Sinai volunteers partnering with KIND (Kids In Need of Defense) provide legal and financial support, social services and counseling to immigrant families. We organize and advocate for DACA and similar programs and lead field trips to detention facilities. Email Rabbi Roos. Temple Sinai’s refugee family team, working with Lutheran Social Services, has sponsored an Afghan refugee family and is presently assisting other refugee families. More than 50 Temple members provide direct support. Email Andrea Dettelbach and/or email Catherine Ribnick. Formed in 2016, the GVPG does research, education, legislative monitoring and advocacy, phone-banking and organizing within the Temple and with other congregations and institutions. 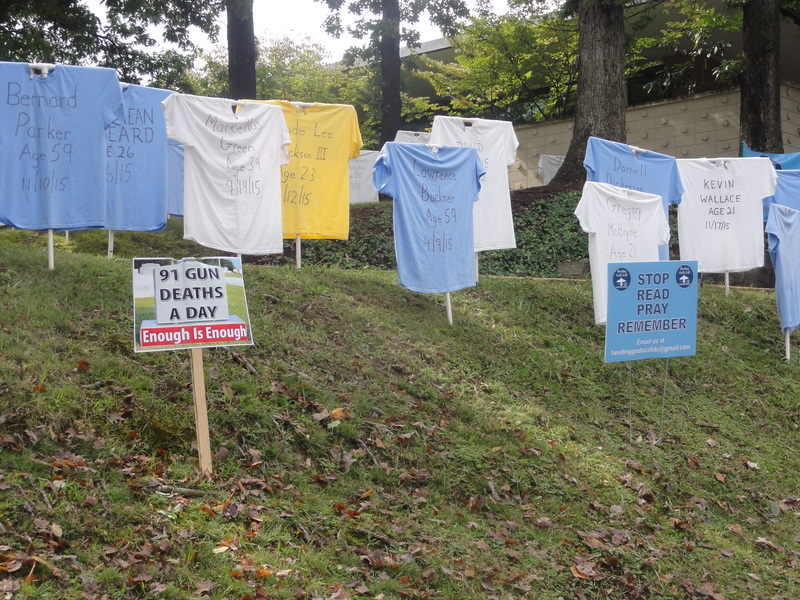 GVPG members and volunteers mounted the Memorial to the Lost t-shirt display during the 2016 and 2017 High Holidays and has hosted well-attended panel discussions and films, most recently a panel discussion on guns and the suicide epidemic. Email Steve Klitzman. The Team actively researches and educates on environmental issues including best practices for our building and landscape, and is advocating and organizing for changes in policy to reflect Jewish values. The Team’s April 2018 program featured practical information on stormwater mitigation and other environmental best practices for individuals and families. The Team plans an outstanding Tu B’Shevat Shabbat for January 25, 2019. Regina Ziegler, Email Regina Ziegler and/or email Robyn Miller-Tarnoff. Several times a year, Sinai congregants celebrate Shabbat with tikkun olam at A Wider Circle in Silver Spring. We meet at AWC on Saturday morning, begin with a short Shabbat service, and help sort donated clothes, furniture and household goods for families who come to “shop.” Families welcome. Email Barbara Kraft. We are one of 40 DC congregations in WIN, an affiliate of the Industrial Areas Foundation. 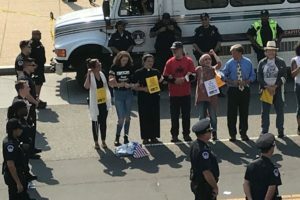 Each congregation’s “Core Team” organizes members in actions to support campaigns targeting criminal justice, policing, gun violence and community safety; housing and homelessness; jobs; and immigration and refugee protection. Join our 2018-2019 Core Team and stand with us at WIN’s June 7, 2018 Citywide Action as we press the DC Council Chair candidates on immigrant legal assistance funding, affordable housing and gun safety in DC. Email Barbara Kraft. 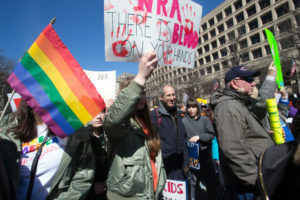 Among other things, D.C. Center for the LGBT Community, organizes the annual Capital Pride Interfaith Service and works with organizations that provide housing and support to LGBTQ individuals. We have committed in the RAC’s Brit Olam and the Urgency of Now Campaign to organize and advocate for LGBTQ rights and protections. Email Rabbi Rosenwasser. Sinai volunteers shop for, assemble and deliver wholesome holiday foods to Temple partner organizations including Sinai House, SOME and others who distribute them to families. Religious School kids help with packing. Email Ellen Croog and/or email Lori Berman. 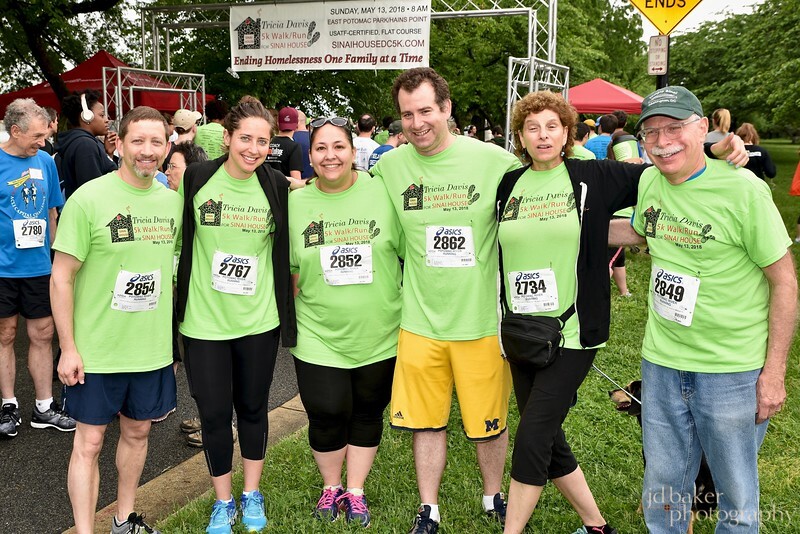 Volunteer at Temple Sinai’s own supported housing for formerly homeless families. Learn more. Amy Schear, Email Amy Schear. Sinai’s Men of Reform Judaism joins Yachad’s program to repair single-family homes whose owners can’t afford to pay contractors. Work includes painting, plastering, plumbing, minor electrical work and carpentry. Experience a plus but not required. Kids who are at least 11 years old welcome. Email Howard Oppenheim. Sinai volunteers serve breakfast, pour coffee, clean up and set tables on the 4th Sunday of each month from 7:00 a.m. to 9:00 a.m. at 71 O St., NW. First time volunteers must show up 15 minutes early. Volunteers must be at least 13; ages 13-15 must be accompanied by an adult. Students may earn community service credit if they bring their forms! Email Howard Oppenheim. May we call you on short notice to help out/show up/stand up with one or more of the above project teams or to respond to other urgent needs, including, for example, events requiring responses to immigrant/refugee injustice, racism and anti-semitism? Send your contact info to Barbara Kraft. The Social Action Committee makes small grants each year, giving priority to projects in areas our congregation has identified as important: immigration, refugees, education, housing, homelessness, jobs and food/hunger. Consideration is given to organizations or groups with relationships with Temple members, though the Committee will consider innovative proposals that are especially promising regardless of relationship to Temple Sinai. Applicants must demonstrate effectiveness in achieving their goals. Past grantees have included Sinai House, Friendship Place, Washington WomenAid, Tzedek DC, the Summer Book Fair, and a math tutoring program at Neval Elem. School in DC. Applications for grants in FY 2019 are due February 15, 2019. 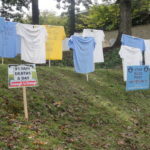 The Committee will consider the applications at its March 2019 meeting.